Suit up for a mission to the International Space Station or train for a landing on the moon! Space Camp is the ultimate educational experience that illuminates real-world applications of science, technology, engineering and mathematics. The following is a rendering of a presentation by Bretton Jimenez. This was extracted from a Power Point presentation made by him. 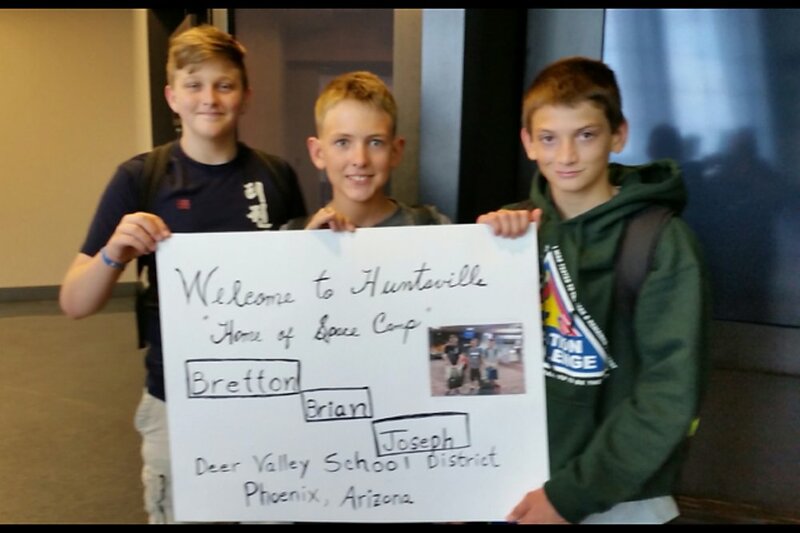 Thanks to a donation from GRAD'S PHOTOGRAPHY, The Deer Valley Education Foundation is excited to once again offer your 7th and 8th grade students an opportunity to apply for a chance to attend Space Camp in Huntsville, Alabama this summer! Application! The Deer Valley Education Foundation Space Academy Program will provide winning DVUSD 7th or 8th grade student(s) with tuition and travel expenses to attend Space Academy in Huntsville, Alabama during the summer of 2016. Runners-up will each be awarded a Barnes & Noble gift card. 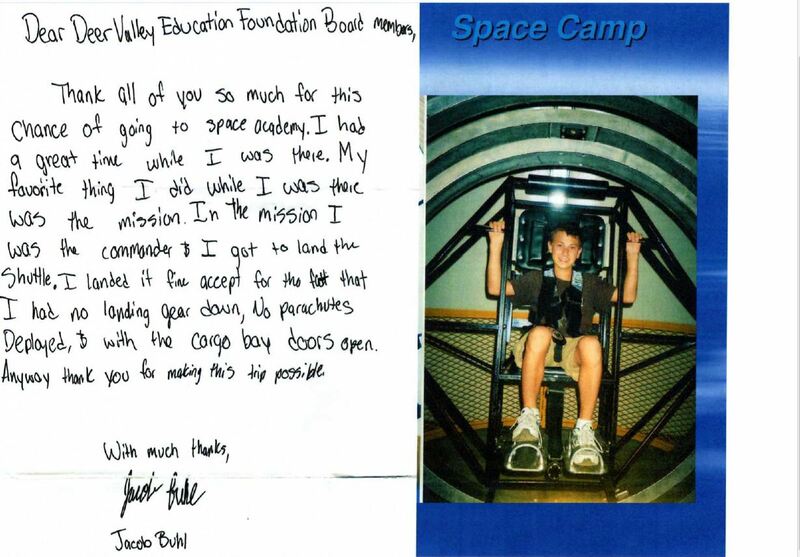 Interested 7th or 8th grade DVUSD student applicants must attach and submit an original, typed, informative, well organized essay in 500 to 1,000 words telling us “Why I Want to Attend Space Academy/Camp”. Some information that may be included (but not limited to) can be career goal, personal interest in and experience with space, science, and/or math; what they know about space; and how they hope Space Academy/Camp may benefit their future life choices, plus some additional information the committee may want to know about them. Be sure the essay shows the student's personality! The essay must be the student’s original work. Essays will be judged by an independent selection panel to become a finalist for a DVEF Space Academy Program scholarship. Finalists will then be scheduled for an interview with the selection panel. These interviews are scheduled on the early release day of May 6th, 2016 at the District Office (20402 N. 15th Ave., Phoenix), and will be approximately 15 minutes in duration. Finalists will be notified of the results by DVEF. Finalists might be presented at a DVUSD School Board Meeting (20402 N. 15th Ave., Phoenix) tentatively in May. Applications must be completed and submitted to DVEF (at the D.O.) by April 21st, 2016.